In the south, you know when a storm is coming. The air is electric, a thin film of dew forms on your skin and the skies above transform into a mural of angry cloud gods. With giant sugar cane pots at my feet, looking out across the creek at the weather-worn outbuildings of those who once worked this land, I shuddered to think that this historic site was once destined to become a $700 million manufacturing plant. The Whitney Plantation nearly wasn’t, but for the intervention of a small group of preservationists, environmentalists, a wealthy white lawyer by the name of John Cummings and his head researcher, Ibrahima Seck, a Senegalese scholar. Their hard work and 13 year long journey created one of the most provocative and subversive sites of enslavement I have ever visited. The term enslaved is a descriptor to explain one’s position in society, whereas the term ‘slave’ in some aspects strips away identity and reduces one to that position. History of the enslaved is not something most people are even almost comfortable discussing, let alone exploring. It a long, painful, confusing narrative and while the Emancipation is long over, there are still strong remnants of racism throughout the United States, especially in the South. Before you arrive in Wallace, you may notice the Grand Mansions along the Mississippi, some restored to their former grandeur. And while it might be easy to be swept up into the romanticism of a canopied path of three-hundred year old oak trees (Oak Alley), the Whitney Plantation does not lend itself to the narrative of those who ruled, but rather, those who lived in chains. 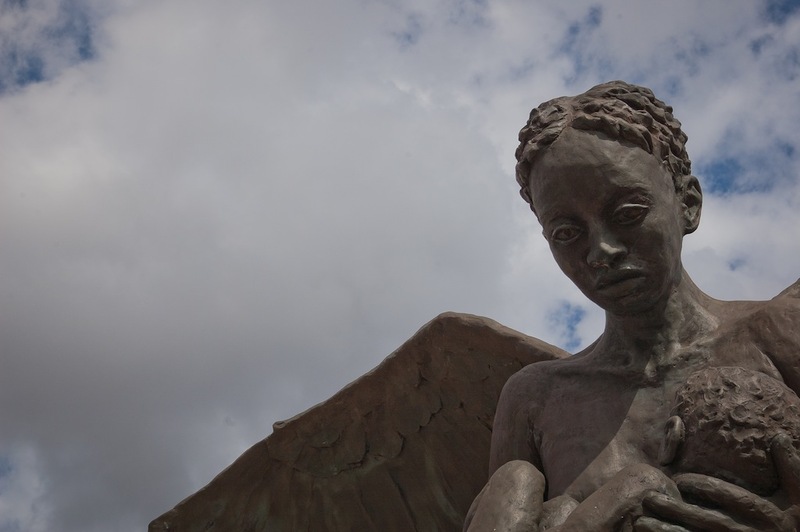 The Whitney Plantation is the only restored plantation site in the country that focuses wholly on the history of the enslaved, and that is why it is one of the most important cultural sites in the world. The plantation itself is not open for self-guided tours. You can either book directly on their website or book with a company like Grayline Tours. The guides here are knowledgeable, patient and passionate about their work, and while the site itself is haunting, a great deal would have been lost on me had I not been educated by a Whitney guide. Our first stop on the tour was the Antioch Baptist Church. 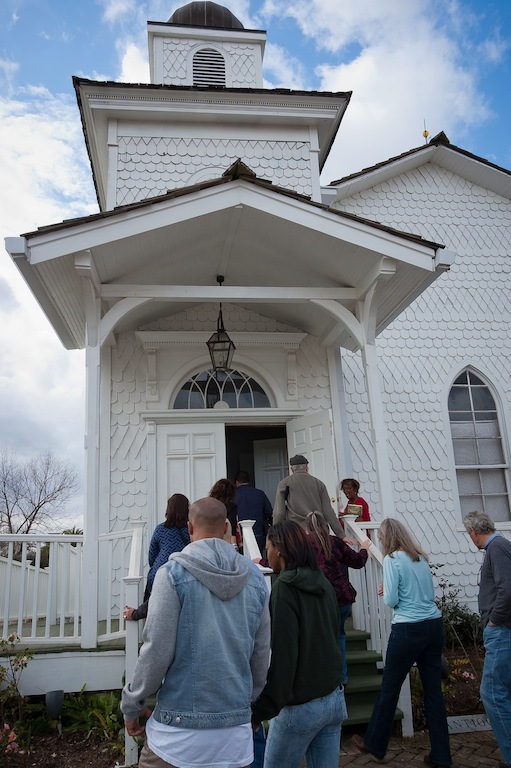 Dating back to 1868, the church is not original to Whitney, however, stood as the only African-American church in the immediate vicinity. Once inside, guests are invited to sit and watch a brief film on the history of slavery at Whitney. The modesty of the church’s interior is rather striking, even more so, the haunting sculptures of children scattered about the pews. I’m not a religious or even spiritual person, but when I closed my eyes, I could imagine the blended voices of its patrons, singing to the skies above, hands joined, rejoicing in perhaps a fleeting moment of freedom – The freedom to believe. 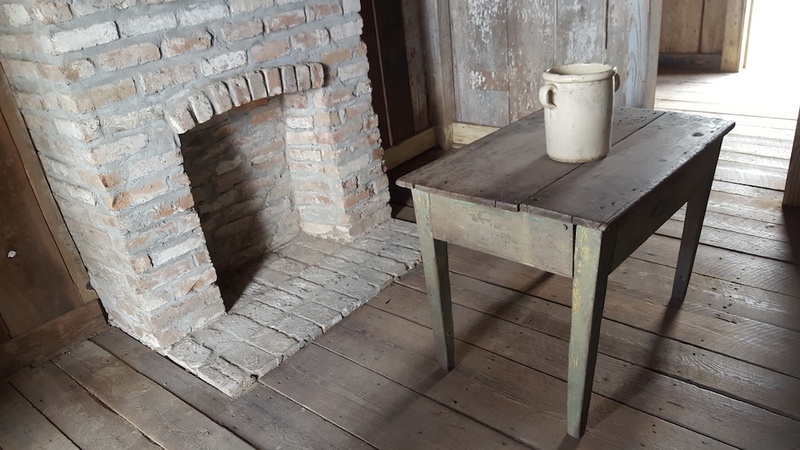 The Whitney Plantation is unique not only because its narrative focuses on the lives of slaves, but also because of the written and recorded accounts provided by children born on the plantation. 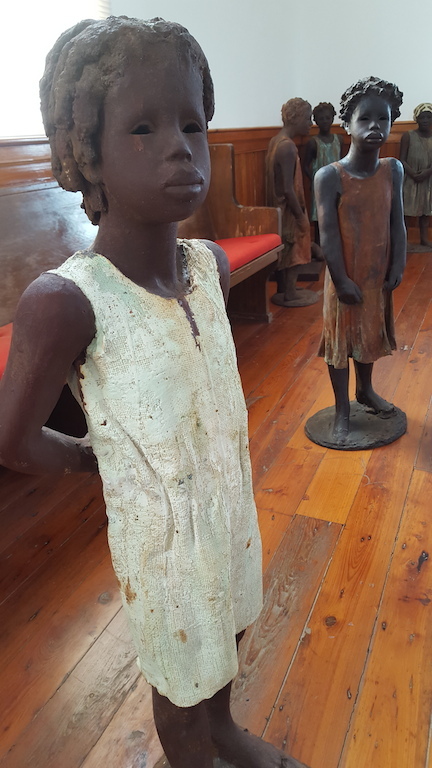 Before you leave the church, be sure to inspect Woodrow Nash’s striking sculptures carefully. Take note of the textured clothing, the various hair styles, their somber expressions and of course, their empty eyes. The church isn’t the last you’ll see of them, there are more scattered around the sleeping quarters further on in the tour. 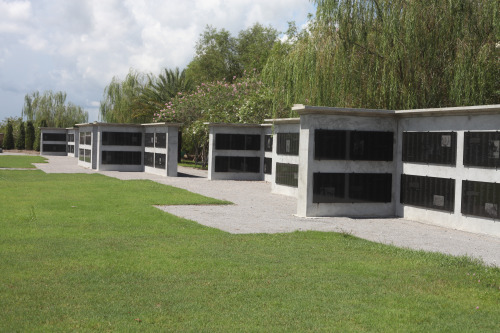 A few steps from the Church, you will find a tribute to the more than 350 individuals who were enslaved on the plantation. 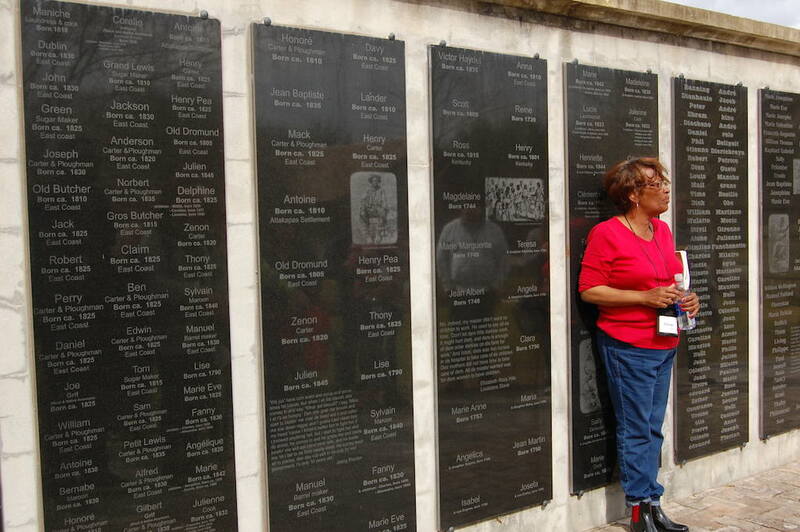 The Wall of Honour documents each individuals origin, date of birth and death (if it’s known) Additionally, if someone was bi-racial, or mulatto, this is also indicated in the legal record. The first thing you may notice as you work your way across the wall, is the number of African sounding names. This is indicative of Senegalese slaves who were brought over from Africa, sold at auctions, and brought here to Whitney. 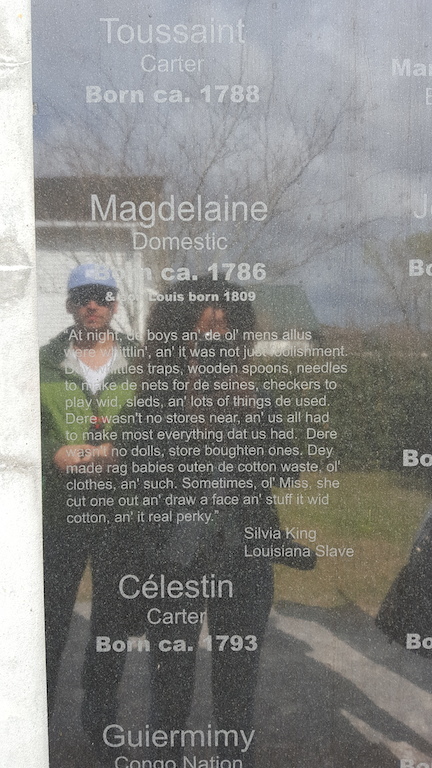 As you move along the wall, the names transition into more English sounding first and last names as more and more children were born onto the plantation. Any memorial dedicated to children is a difficult one. Here at Whitney, this memorial is dedicated to the 2,200 children who died in the 40 years leading up to the Emancipation Proclamation. 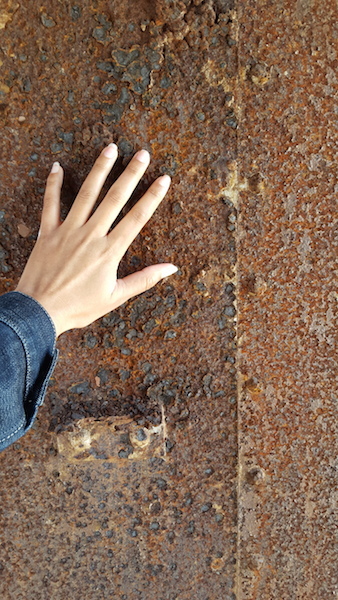 Though there are several holes in the records, what is documented is that 39 children passed away at Whitney alone, with only six of them reaching the age of five. Motherhood came early for enslaved women and child mortality was extremely high. Many of these children met a tragic end such as drowning, epidemics, being burned by the sugar pots and even lightning strikes. An estimated 107,000 people lived a life of enslavement in the state of Louisiana (according to the Louisiana Slave Database). This is most likely an underestimated number, however, walking around this quiet memorial, one gets a sense of how widespread (and normalized) slavery was in the South. Here you’ll find more personal accounts of life under slavery, including evidence of the horrors of sexual exploitation and assault of enslaved women. Women were forced to lay with plantation owners, which often produced mixed children, the future domestic force for the Big House. Once we had finished reading the hundreds of inscribed names on the memorial walls, our tour brought us to the sleeping quarters. The cabins here are not original to the site, but were brought in from nearby plantations. Our guide Cheryl told us up to twenty families would live in each cabin. To give you some perspective, the cabins aren’t more than 1000 square feet in total. 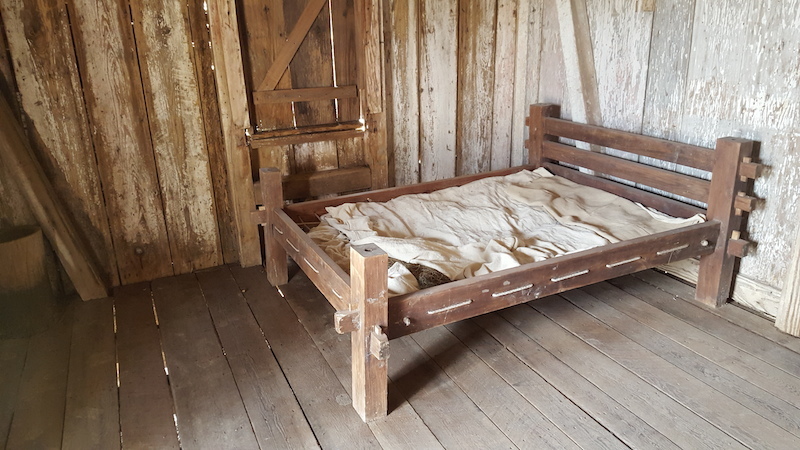 Other than a few artifacts, a bed, an old spindle, a wooden table and some ceramic pottery, the cabins are not displays of pageantry. The cypress boards creak beneath your feet, the wind whips through the front opening and out into the back field, and the walls stark. The rest is left up to the imagination of the visitor. Hollywood may have come here to Whitney once or twice (to film Django Unchained), but this holding pen is the real deal. 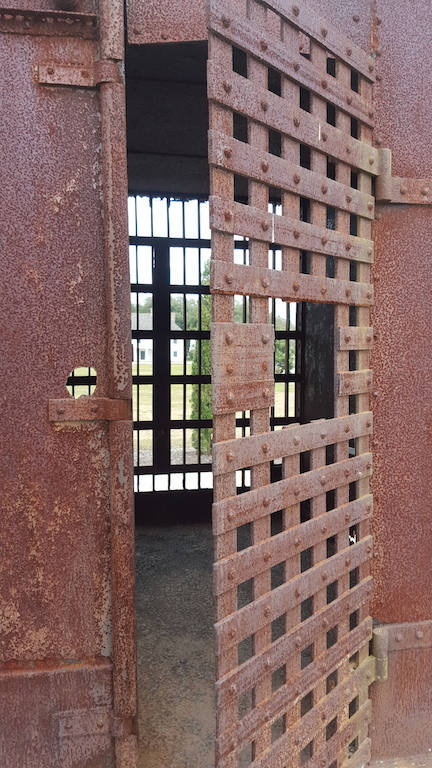 Enslaved people were treated like livestock, and during auctions, they were held in small jails like this one until they were purchased by respective plantation owners. Enslaved individuals fetched anywhere from $25 to $3000, depending on their skill level, age, gender and child-rearing abilities. There is a short walk through the Big House at the end of the tour, and a brief lecture about the family who oversaw the plantation. 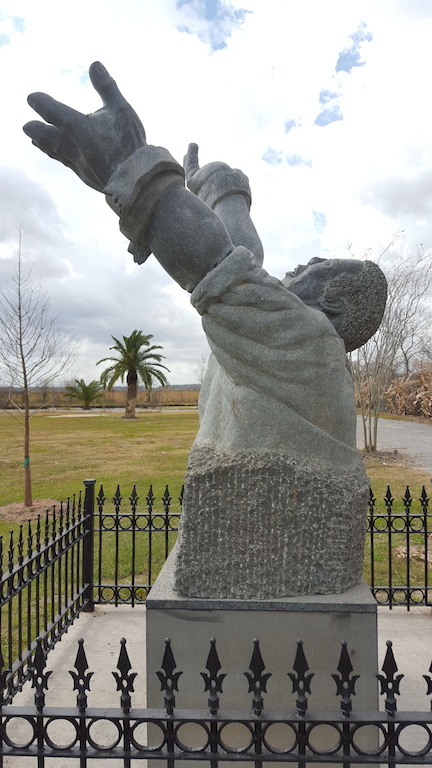 However, the Whitney Plantation emphasizes the narrative of enslavement. It is the most honest and beautifully crafted account of a period in history that not only touches me personally, but all of us.